Faceted search - Users have been able to search multiple terms and apply multiple filters to drill down to the tracks they're looking for, but now they have the ability to see which terms are being applied to the search and they can back out of their results step by step. Each term is displayed at the top of the results along with a little "X" next to it. If I get 12 terms down into a search and my results aren't perfect, I don't want to have to start my search over. Instead, I simply back out of my last step or two and I'm right back to where I was a couple of steps ago, and I don't have to start all over. Pagination at the top of list pages - If I'm on a page and want to jump to page 2, 3, 4 and beyond, I no longer have to scroll to the bottom of the page to make that happen. This helps out a lot when I've got 50 items displaying on the page. Better track nesting - If you've got alternate versions/cut-downs of tracks that aren't on the same album, you can now nest them together. 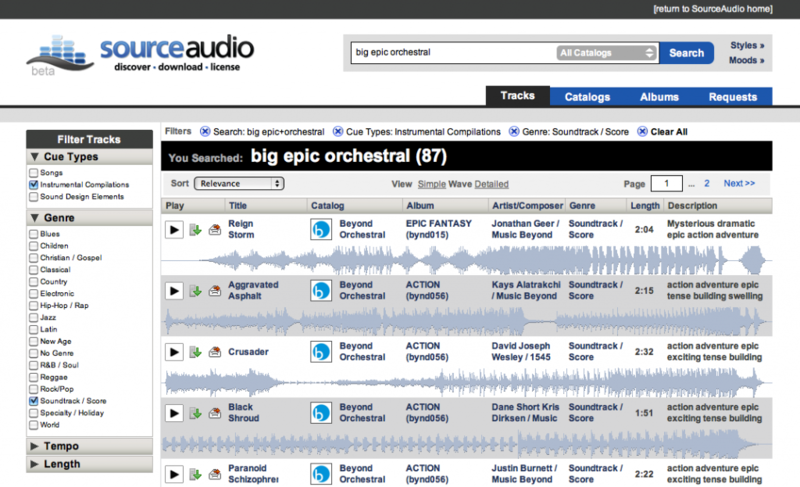 We extended the "Manage Alternates" feature to allow you to nest any two tracks together on your site. Metadata export tool - You asked for it, you got it. Now you can export an entire snapshot of your metadata to csv on demand, anytime you want. Just go to the "Manage Metadata" section of your Admin Tools and you'll see the new feature right there. The next step for this feature will be of course the metadata upload feature which is coming soon. Release dates on tracks - Some of our partners have the need to automatically hide or automatically turn-live tracks based on a release date. If you have tracks you don't want on the site now but you want them on the site prior to the holidays, then just set your release date to the future date upon which you want them to appear on the site. Set it once and you're done - they'll be live on that date. That's it for now. There are many more big items coming soon so stay tuned!